LANSING — An avalanche of political money could be heading for Michigan in 2018, according to new disclosures from the state’s political action committees (PACs). 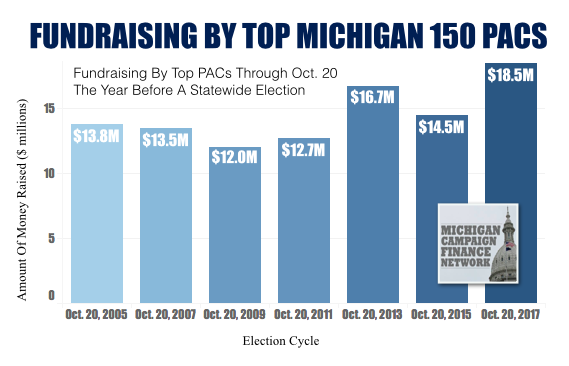 With the November 2018 election still about a year away, the 150 most active PACs in Michigan are on a record fundraising pace, according to the Michigan Campaign Finance Network's tracking. They’ve reported raising $18.5 million this year through Oct 20, 2017. The previous high at this point before a statewide election came in the 2014 cycle when the top 150 PACs reported raising $16.7 million by Oct. 20, 2013. PACs are groups that raise money and then use the money to fund candidates, advertisements, campaign staffers or other endeavors aimed at swaying voters. 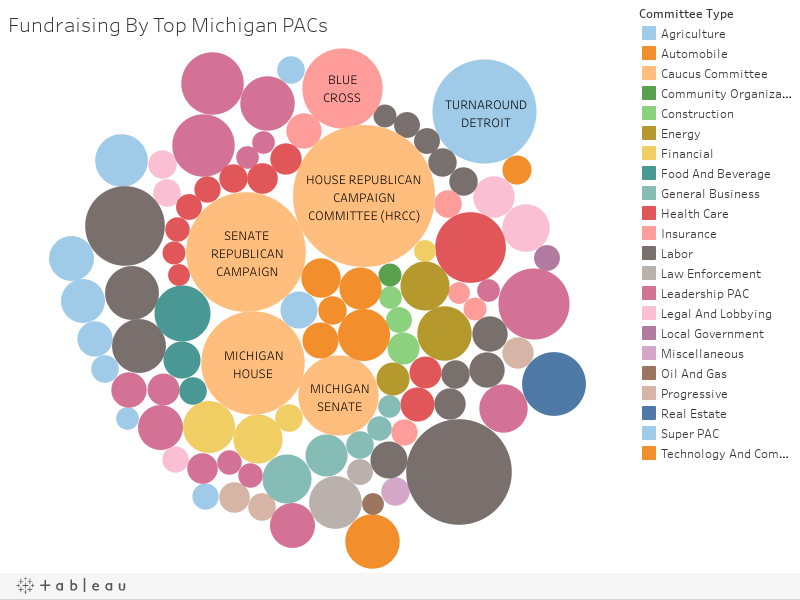 The list of the top 150 PACs in Michigan includes traditional PACs, which can give money to candidates, Super PACs, which are supposed to spend independently of candidates, and the four caucus committees. The caucus committees raise money for the four legislative caucuses: the House Republicans; the House Democrats; the Senate Republicans; and the Senate Democrats. Michigan’s top PACs are gearing up for the 2018 election, in which voters will choose a new governor, attorney general and secretary of state. Voters will also select candidates to fill all 148 seats in the state Legislature. The top 150 PACs’ fundraising total as of Oct. 20, 2017, is up about 10 percent over the top 150 PACs’ fundraising total at this same point in the 2014 election cycle, the last time all 148 seats in the Legislature were up for election. Four years earlier, in the 2010 election cycle, the top 150 PACs had raised only $12.0 million as of Oct. 20, 2009. The Oct. 20, 2017, total is up 55 percent over the same point in the 2010 election cycle. So what’s driving the numbers upward? There are a number of possible reasons. One reason lies in the state’s four caucus committees, which have seen record fundraising success this year. These committees — the House Republican Campaign Committee, the House Democratic Fund, the Senate Republican Campaign Committee and the Senate Democratic Fund — raise money on behalf of the legislative caucuses and usually spend it in the most competitive legislative races across the state. They’ve raised $4.1 million so far in 2017. At this point in the 2014 election cycle, they had raised only $3.0 million. Of the committees on the top 150 list, the caucus committees are the only ones subject to contribution limits for their own fundraising. However, in 2013, Michigan lawmakers voted to double those giving limits, allowing an individual donor to give $40,000 each year to a caucus committee instead of the previous limit of $20,000 a year. Another reason PACs are raising more money is the proliferation of Super PACs, which can raise funds from corporate donors and can spend unlimited amounts in elections. State law requires Super PACs to operate somewhat independently of candidates’ campaigns, and they can’t give money directly to candidates’ campaigns. 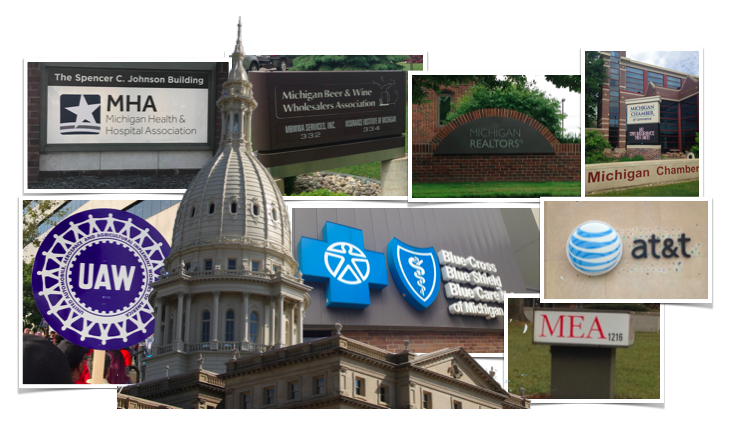 There are 12 Super PACs on the new list of the top 150 PACs in Michigan. At this point in the 2014 election cycle, there were only eight Super PACs on the list of the top 150 PACs. Super PACs accepting corporate contributions burst onto the political scene in Michigan after the U.S. Supreme Court’s 2010 Citizens United decision. The 12 Super PACs on the list have raised $1.8 million this year. Of the 12, five didn’t exist at this point in the 2014 election cycle. It’s unclear what some of them plan to do with the money. For instance, the People First Super PAC formed on Sept. 12. It received $100,000 from the Moroun family’s Central Transport LLC on Sept. 20. The Super PAC didn’t report spending anything by Oct. 20. The most active Super PAC this year has been Turnaround Detroit, which had been paying for positive TV advertisements about Detroit Mayor Mike Duggan, who won re-election this fall. Turnaround Detroit reported raising $864,500 by Oct. 20, 2017. In September, Michigan legislators voted to give Super PACs a place in state law by approving regulations for them. The regulations allow candidates to raise unlimited contributions for Super PACs that support them and allow candidates and Super PACs to share consultants. The full list of the top 150 PACs is available at this link. — The list doesn’t include five PACs that file disclosures in Michigan but are focused on spending their resources in other states or on the federal level. — The third PAC on the list, the International Association of Bridge, Structural, Ornamental and Reinforcing Iron Workers, formed in Michigan on July 18. It reported receiving $889,056 in the form of a transfer from another account. So far, the PAC has reported only one campaign expenditure, giving $1,000 to Pamela Sossi, a state House candidate, on Aug. 1. — Two PACs on the list filed their disclosures with Wayne County, not with the state. Save Our City Super PAC, had been supporting Detroit mayoral candidate Coleman A. Young II, who is also a state senator, and Detroit Community Impact, which spent money in a Detroit City Council race. Because of their levels of spending, they were included.